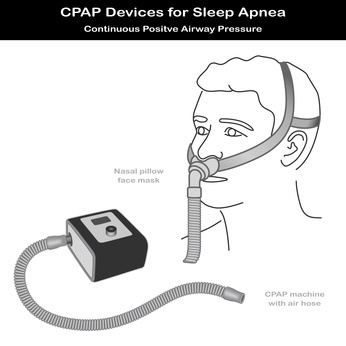 A CPAP nasal pillow is a type of cpap mask with soft cones (pillows) that fit up against the nostrils rather than around the entire nose. The little cones open into the nostril but are not inserted inside to seal. it's easier to sleep on their side or stomach. In fact, you can sleep in any position! is supported by people with facial hair. minimal contact to the face. in general, there are no straps against the cheeks, so any size or shape face will fit easily - without red marks the next morning. they may soften the discomfort of having a cpap machine. depending on the nasal pillow, you can find ways to adjust it so the fit feels right every time. find the right direction and the right angle when you point the cones into your nostrils. try to avoid the cpap pressure above 15-16, because some nasal pillows tend to leak. test the fit of several nasal pillows. Resmed Swift LT nasal pillows system - is light on the face, easy to use and fit, and provides personalized comfort and unparalleled quietness for you and your bed partner. is very light: only 2.3 oz (67 g). is easy to fit: rotating barrel allows you to customize seal, and simple design makes it easy to fit and clean. if you like to sleep on your side or on your stomach, this is ideal for side sleeping. It also has a quiet vent. Dual-wall nasal pillows: seals softly for improved stability, comfort and reduced airflow into the nasal passages. it's one of the most quietest nasal pillows system on the market. allows tube to be worn over the head or either side of the face without interfering with side sleeping. Another device ideal for people who want a light, flexible system with a clear field of vision is Mirage Swift II Nasal Pillows System - sizes S,M,L. small, lightweight, and travel friendly - The pillows rest gently just under the nose. It folds up for easy travel. The minimal design creates comfort and helps users with better compliance and allows for reading or watching TV at bedtime even with glasses on. Assembly and disassembly are simple and easy, with very few parts, making for effortless cleaning or replacement of parts. Washing your mask system with warm, soapy water. use Citrus II CPAP Mask Cleaner Spray, or baby shampoo instead of soaps with added scents. 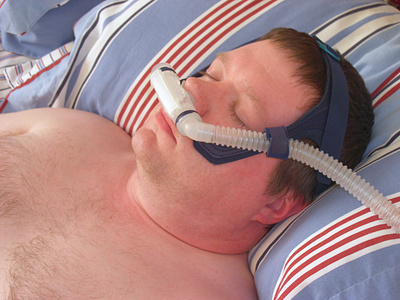 For more tips about cleaning the CPAP masks, click here.